Welcome to Planet Gold Rush! Grab your gear, Young Buck, there’s gold in them hills just waitin’ for you! 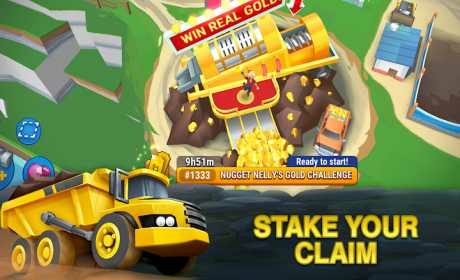 Strike it rich in this fun-filled gold mining game where you can explore and survey gold-rich lands, pull the gold from the earth, wash it, and make GOLD BARS! This is more than just mining, this is an adventure – and its CHOCK full of GOLD! PLEASE NOTE! 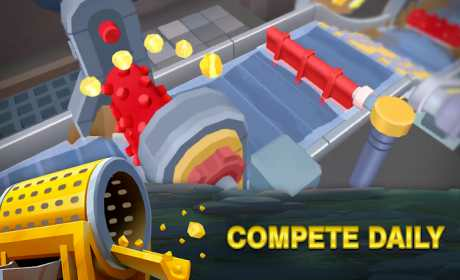 Planet Gold Rush is free to download and play. However, some game items can also be purchased for real money. If you do not want to use this feature, please set up password protection for purchases in the settings of your Google Play Store app. – Dig in! Set up! Upgrade! And be the Boss of your own Gold Mine! – Strike out, Navigate and Explore Huge areas of Gold Rich new Lands! – Survey, Find new Dig Sites, Lay your Claim and Mine your Gold! 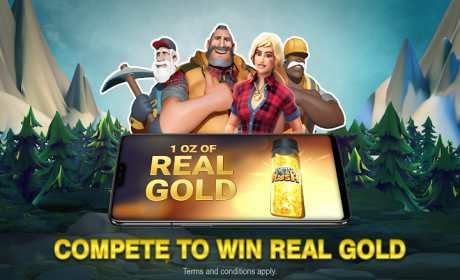 – Play Immersive and Fun Mini-Games that dive directly into Gold Fever!